It has been a super exciting week for the Little Fighter team (Mike and me). Aside from a rather large and significant gathering of friends which we’re having next week, we’ve made the papers twice this week! Firstly, the Dom Post covered a safety campaign which we made the video for. Our star, Emma, made the front page with a rather large write up. And to top it off, they showed some of the video in a story on 3 News last night. Combined we’ve had over 6000 views and counting! But possibly even more exciting, is the news today that we’ve been chosen as one of 12 finalists in the Make my Movie competition. With over 750 entries, even making it this far is a huge honour! But, really, we’d love to win it! And to do so, we need your support. And hit ‘Like’. And if you don’t have facebook yet, maybe it’s time to join up? 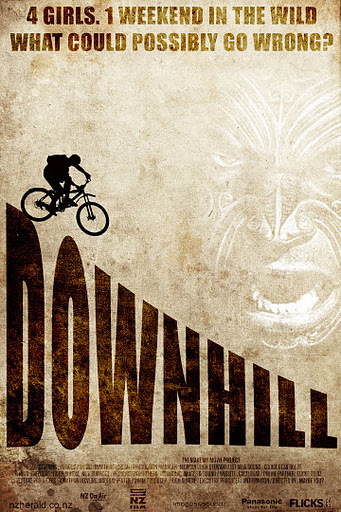 Just a quick little heads up to a couple of kiwi film makers done good. Louis Sutherland is a former colleague (all talented film makers need a pay cheque once in a while!) whose latest film, The Six Dollar Fifty Man, has done well at festivals around the world. Hopefully it’s paving its way to Oscar glory, which will ensure a wider release here, which will mean I actually get to see it! Louis and film-making partner, Mark Albiston, are also behind the short, Run. Which I have seen. And which is very good. It captures a unique kiwi setting and is thoughtful in that unique way that only short films are.